“I am not a politician nor do I have aspirations of being one…” words by el marrano de monte back in November of 2012. 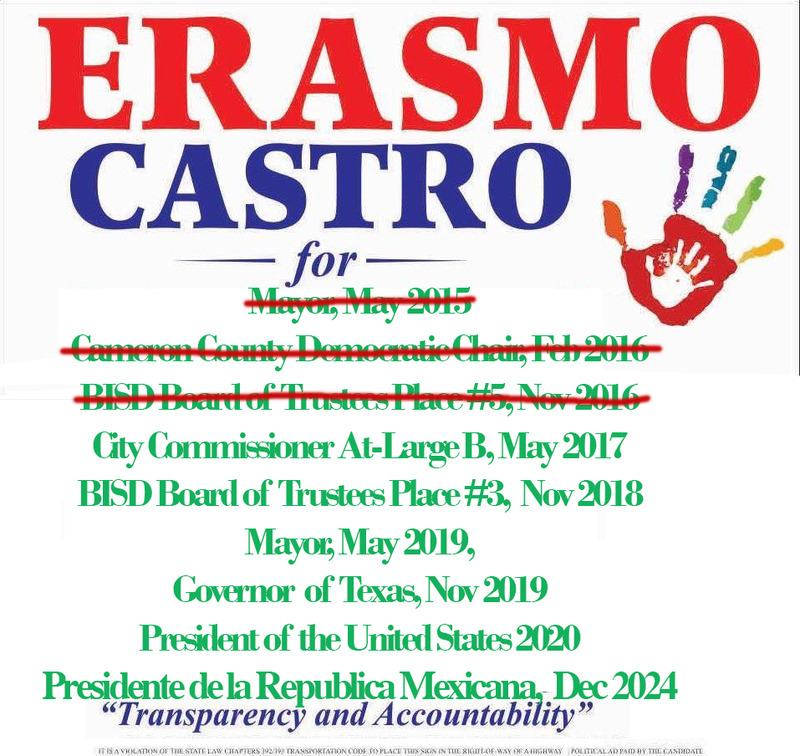 Time of course has passed since then and he’s ran unsuccessfully now for three different positions in less than two years and is now seeking a 4th run as City Commissioner this year for At-Large B. I actually had predicted el marrano would run specifically for this position back at the end of the mayoral race in 2015. Erasmo has been using a fake address down by the old Amigoland Mall area that belongs to a family he met down in Mexico a while back (story on this later) to be able to run for positions in the valley as he resides in Austin, although he does visit during major holidays and takes selfies with people to convince them that he lives in Brownsville. Since I started this blog, his cult following has dwindled as they have realized the truth, although many remain loyal and fight tooth and nail for him and new followers join blindly each day. Does he have what it takes this time around? We’ll shall see. He does face a formidable Rose Gowen, the incumbent and of course there’s always me who at any moment could end it all for him with all the unpublished articles on his past with just a push of a button, although this year will be very busy time for me and I may let him make a fool out of himself at the city commission. But if he doesn’t win, rest assured it won’t be his last time as he’s desperately trying to win any public position, no matter what that may be….